From the soaring mountains and stunning landscapes to vibrant culture and customs of the people, Nepal tours offers a unique experience for the adventurers and the relaxation-seekers alike. An unforgettable Nepal holiday will take you on journey through spectacular treks of the Annapurna circuit and various other Himalayan hilltops. An exotic land located within South Asia, nestled between China and India is home to the highest mountain in the world, Mount Everest. An unforgettable Nepal holiday will take you on journey through spectacular treks of the Annapurna circuit and various other Himalayan hilltops. 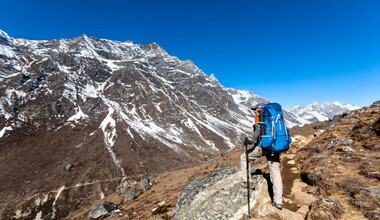 Trekking, climbing, and rafting the scenery are among the few ideal activities for the adventure traveler. The relaxed traveler can enjoy a short hike or flight tour over the natural wonders. Nepal’s culture is recognizable by its welcoming residents and the unique centuries old traditions expressed in dance, folklore, language and religion, which can be witnessed in the old squares. 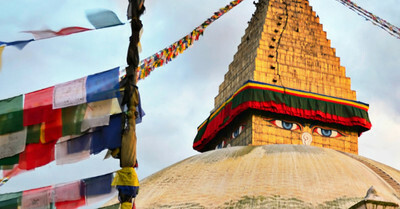 Kathmandu, the nation’s capital, is the center of Nepal’s history and culture. Within the city, Durbar square displays its rich culture with exquisite temples, architectures, and idols. Just outside the capital, the city Patan has a collection of Hundi and Buddhist sculptures. 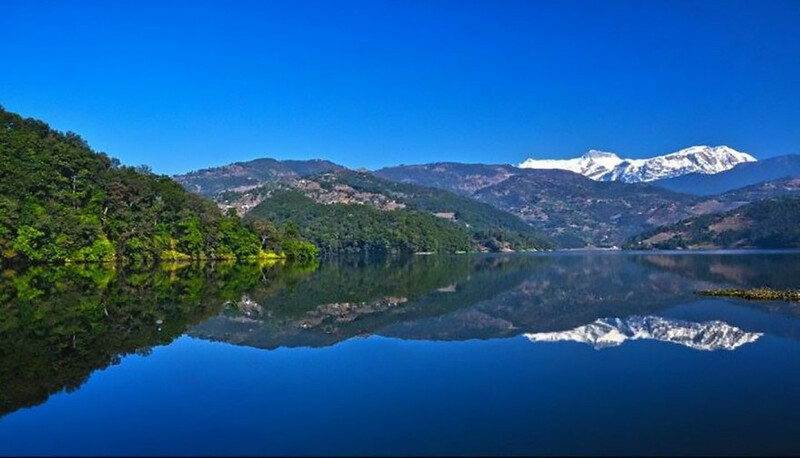 Following your travels, you can journey to the beautiful lakeside city of Pokhara. Not only are the main cities of a round trip Nepal journey enchanting and mystifying, they are also very endearing and infectious. The buzz around Kathmandu is electrifying with fun-loving locals and historic charm. 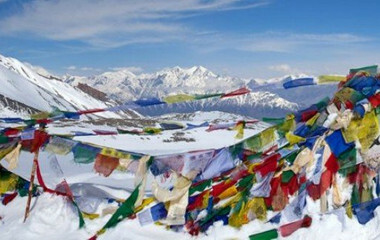 This nation’s capital is the ideal location to begin your Nepal Travel as you journey your way around the country. Durbar Square, in Kathmandu, contains a set of temples with indescribable beauty that you simply can’t miss on your travel to Nepal. A tour of the royal palace and the mass of ancient temples will leave you in awe as you come away from Durbar square with aesthetics and spirituality firmly planted in your mind. An hour outside of Kathmandu sits the beautiful temple-ridden city of Patan, an ancient city containing a myriad of brick lanes leading to unimaginably pretty squares or courtyards. The rooftop cafes offer the perfect vantage point to survey the electrifying scene, after, meandering through the crowds of people and mixing in with the vibrant colors on display. Chitwan National Park offers great wildlife and safari tours in one of Asia’s greatest nature spectacles. In the hot, humid forests roam one-horned rhino’s, leopards, deer and lurking somewhere is even the possibility of spotting a Bengal tiger. 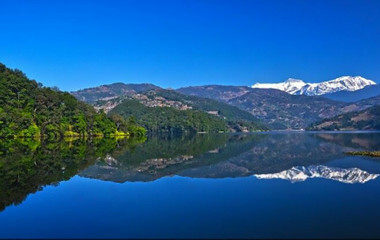 Many people who travel to Nepal will agree that Pokhara is a gem you must revisit a number of times in your lifetime, and it’s almost always included in your ‘favorite cities’ list. This charming lakeside town offers a whole array of activities, from the famous paragliding cliff to the serene lake kayaking trips. Rows of cafes align Lake Phewa and are a nice spot to laze in the sun and absorb the romantic scenery on offer. 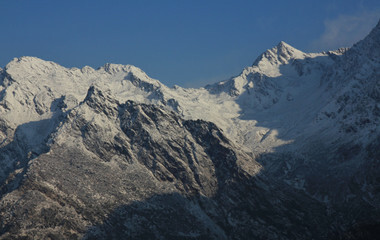 You can find several Nepal travel packages within these cities and many more attractive destinations for Nepal travel. 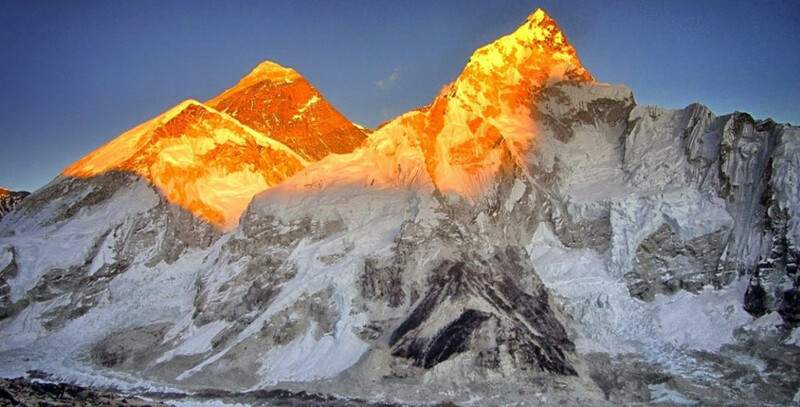 Whether you’re an amateur trekker looking to jump in at the deep end or a thrill seeker looking for some of the most spectacular views on the planet, Everest Base Camp tours are accessible for everyone. Conquering the whole beast is a different story. Years of dedicated training goes into the preparation of climbing the ultimate challenge of Mount Everest. 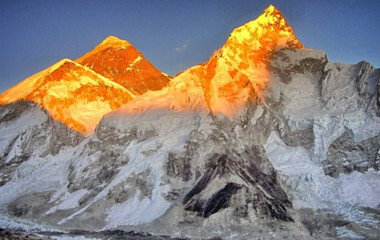 Climbing to the peak of Mount Everest is not only challenging but also expensive, so plan in advance. 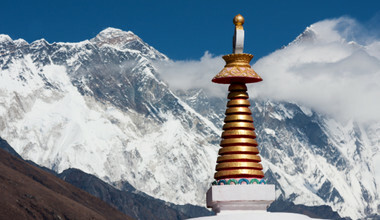 Without the training, Nepal base camp tours can be an achievable goal to add to your bucket list. 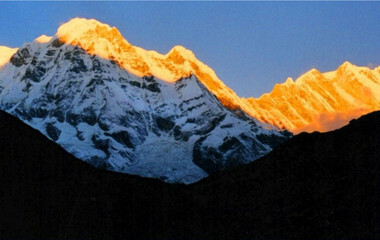 The best Nepal hiking tours are often the less iconic and more off-the-beaten-path treks. 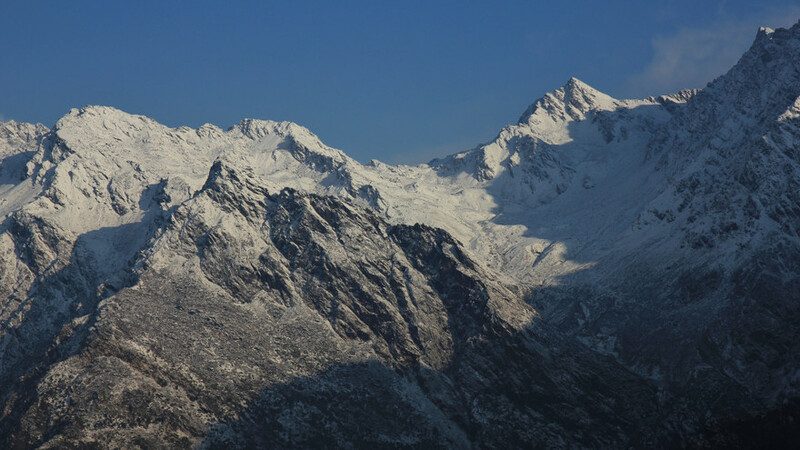 The Langtang Trek in the northern region of the Himalayas, and even skirting the Tibet border, offers magnificent views, moderately challenging hikes and an opportunity to cross paths with friendly Tibetans. 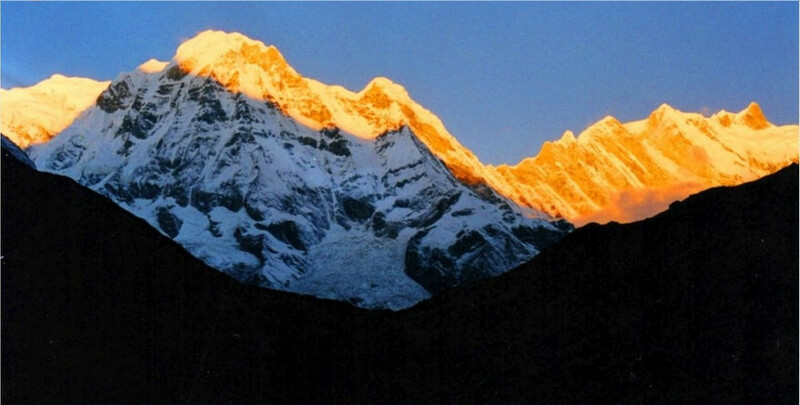 The Annapurna Region attracts thousands of keen trekkers each year to explore the wonders of the Himalayas. From snow-capped peaks to finding refuge in a remote monastery, Annapurna tours will invigorate your adventurous side along with taking you on a spiritual journey. On all of your Nepal trekking tours you will meet endearing Sherpa people and eat and drink some incredibly wholesome Nepalese dishes. Trip.me can provide you with customizable trips connected directly to local agencies, which can save you on time and money by cutting out third party agencies. The agencies we work with adhere to our same values of sustainable travel. 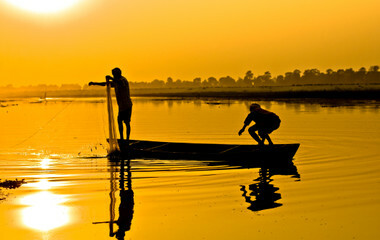 We have travel experts who have real knowledge and experience to guide you on your incredible journey. With Trip.me, we can provide you with an easy 4 steps to booking your itinerary for your Nepal holiday package. Simply find your destinations and travel styles, customize your trip, consult with our destination experts, and pay with our secured payment options. Then pack your bags for an adventure of a lifetime. Whilst Dal Bhat is the staple dish in Nepal, momos are the staple snack. Dal Bhat, the traditional Nepalese dish, contains a sumptuous mixture of ingredients, all mixed together (usually with your fingers) and features the vital ingredients to refresh yourself on the tiring mountain treks of Nepal. Rice, lentil soup, a spicy tomato side and a side of vegetables make this wholesome, hearty dish. The flavors are quite simply delicious. Steamed momos, eaten at any time during the day, are best when steamed and dipped in the spicy chili side-dish. Other typical dishes include fried noodles, with either vegetables or meat, and noodle soups, often containing a lot of remedial spices and herbs. 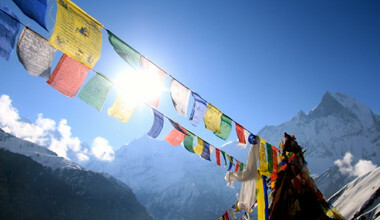 Religion is at the forefront of Nepalese culture. By immersing in the religion of Nepal you will also be propelled into a world of spiritual harmony and ancient philosophy. Driver Dip is very caring, skillful driver. We were very happy with his services for our 7 days tour. Good dinner at hotels. Guide Sudhil in Kathmandu and Anita in Pokhara were very experience and knowledgeable guide. Both of us enjoyed very much our Nepal trip. I really appreciate Kishor had made the necessary arrangements for our trip. If friends wanted to visit Nepal, I will recommend surely Kishor and Trip.me. I liked his availability To answer and reply To our questions. Everything was perfect from the moment we met at airport until we were dropped off at the airport. Anything we needed Kishor’s team was there to help us. The hotels were wonderful as well. Great value for money!